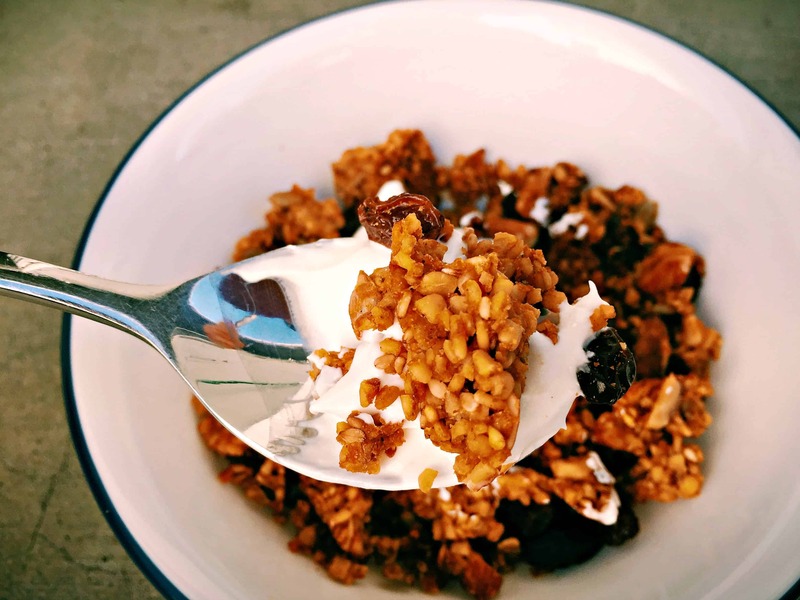 Let’s start the day with this incredible pumpkin spice granola. Ok, ok I may be going a little overboard with the whole pumpkin thing but it is really hard not to when you are surrounded on all sides by all things pumpkin! I promise I will stop soon (maybe….probably not), but I have a fair bit of homemade pumpkin puree leftover from our Halloween festivities and I can’t just let it go to waste can I? 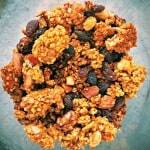 This quick and easy pumpkin spice granola will make your house smell awesome. It tastes great served with some thick strained yoghurt, or as a yummy crunchy topping on some baked apples for a quick and healthy dessert. I first found a version of this recipe in The Sprouted Kitchen cookbook a few years back when I was still living in Australia, but back then adding pumpkin to granola was just too weird for me, so I never tried it. However now that I am living in the land where pumpkin is added to anything and everything it just seems like the natural thing to do. 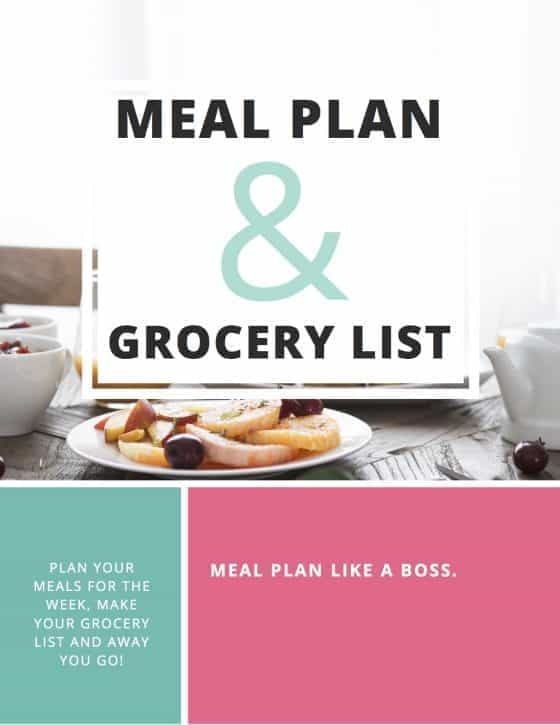 So I did it…..and I have to say pumpkin spice granola is super yummy. 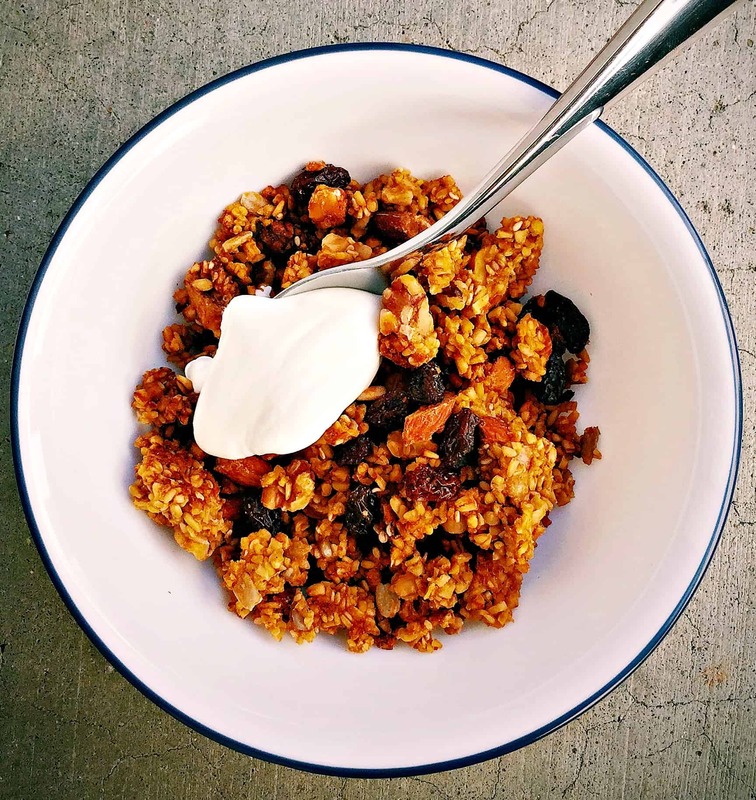 Easy to make granola which pairs fantastically with thick strained yoghurt and will make your house smell beautiful while it gets all toasty in the oven. Keeps well in the refrigerator for about a week. Can also be frozen, just pull out the night before required and store in a glass jar. I make a pumpkin spice granola — but it’s only pumpkin spices — not actual pumpkin. You win! This looks delicious!